Dismissal (Nolle Pros), No Information – What does Nolle Prosequi Mean, in Florida? Pumphrey Law Blog Dismissal(Nolle Pros): What does Nolle Prosequi Mean, in Florida? Dismissal(Nolle Pros): What does Nolle Prosequi Mean, in Florida? In Florida, dismissal cases, no information separated from the almighty nolle prosequi. The majority of the defendants in any given Florida courtroom could not tell you the meaning of the term nolle prosequi. Nolle Prosequi, in legal terms, means”[a]t common law the State has the discretion to announce a nolle prosequi any time prior to the swearing of the jury to try the cause. Wilson v. Renfroe, 91 So.2d 857, 859 (Fla.1956). In addition, because it is solely within the State of Florida’s discretion to nol-pros a case, it may timely do so without the permission of the court. State v. M.J.B., 576 So.2d 966 (Fla. 5th DCA 1991) (holding that the trial court erred in refusing to accept the State’s nolle prosequi filed after the trial court denied the State’s motion to continue, but before jeopardy attached). The State’s discretion, however, is not unlimited. The State’s ability to dismiss a case without prejudice and to file a new information is restricted by double jeopardy and the speedy trial rule. State v. Stell, 407 So.2d 642, 643 (Fla. 4th DCA 1981). Nevertheless, a “nolle prosequi effectively ends the proceeding, and any action taken subsequent to the filing of the nolle prosequi is a nullity.” Sadler v. State, 949 So.2d 303, 305 (Fla. 5th DCA 2007). See also State v. Braden, 375 So.2d 49, 50 (Fla. 2d DCA 1979). Moreover, a nolle prosequi is self-executing upon its announcement and immediately terminates the proceeding. State v. Spence, 658 So.2d 660, 661 (Fla. 3d DCA 1995). No approval of the trial court is required,” State v. Aguilar, 987 So. 2d 1233, 1234-35 (Fla. Dist. Ct. App. 2008) In the State of Florida, the Office of the State Attorney falls under the executive branch of government and therefore vests certain powers to determine whether to proceed with a criminal prosecution. The interesting aspect of a nolle prosequi is that it can be entered at any time and terminates the criminal proceedings, (on the spot, instantaneously, immediate), with no further proceedings on the charging document. The ability to re-filing after nolle pros is subject to certain rules and restrictions such as double jeopardy, the speedy trial rule, and if neither of those applies, then there is still the infamous statute of limitations. Discussing all of the preceding would require separate blogs and separate entries to explain. The good news is that majority of the time a nolle prossequi is the best outcome for a criminal defendant. The term “no action,” on the other hand has been defined as the voluntary termination of proceedings by the state before an information is filed. Genden v. Fuller, 648 So.2d 1183, 1183 n. 1 (Fla.1994); Allied Fidelity Ins. Co. v. State for Use and Benefit of Dade County, 408 So.2d 756, 756 n. 1 (Fla. 3d DCA 1982) (“A ‘no action’ is a dismissal of the pending charges before an information or indictment has been filed; a nolle prosequi is the dismissal of a pending information or indictment.”). The Florida Supreme Court’s narrow interpretation of what can constitute a nolle prosequi is consistent with Wilson v. Renfroe, 91 So.2d 857 (Fla.1956), in which the prosecutor filed a motion to dismiss criminal charges which stated that an investigation showed that there was insufficient evidence to prove the case. Our supreme court rejected the defendant’s contention that the motion to dismiss was a nolle prosequi.”, Purchase v. State, 866 So. 2d 208, 208-09 (Fla. Dist. Ct. App. 2004). Simply put, the no information or no action, depending on what part of the State of Florida you are in, merely tells you that a charging document will not be filed at that specific time. A no information is indicative of two things in the prosecutor’s world–getting rid of the case with no intention of bringing a charging document later or giving the target of the investigation more “rope” to hang themselves with later, so that the prosecutor can lie in wait for the appropriate time when more evidence exists to bring formal charges (within the boundaries of due process). Dismissal is a term usually used by the court. Dismissal can be used by a prosecutor, which is pleasant to a defense attorney’s ears, but it is more appropriate to say nolle prosequi. Dismissal is usually a judicial function denoting that the charges, charging document, elements, primary offense, or any number of areas are “terminated” for that particular time, and for a particular purpose. Depending on the timing of any dismissal, (and the basis), it could be fatal for the pending charges brought by the state attorney, or it could be a mere bump in the road for the prosecutor. For the defense attorney, dismissal could mean that there are still more battles to be fought, either on the re-filed charging document or on appeal. Regardless, it is always good to hear the words dismissal, no information or no action, and nolle prosequi. Don Pumphrey is a former State Prosecutor, a lifetime member of the Florida Association of Criminal Defense Attorneys, a former State of Florida police officer, a former professional athlete in both the USFL and the NFL, and a full IronMan finisher. Most importantly, Don is a husband, father, and friend who loves giving people back their lives and building relationships with former clients who are better because of his services. If you or someone you know has been arrested or has a Capias warrant, call an experienced criminal defense attorney immediately. What is a Capias Warrant in Florida you may wonder? Invoke your right to remain silent and do not speak with anyone until you have secured an attorney. 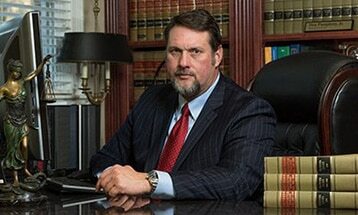 Don Pumphrey represents criminal defendants charged with drug crimes, violent crimes, DUI and driving offenses, and other criminal offenses in Leon County, FL, and the surrounding counties of Jefferson County, Wakulla County, Gadsden County and Liberty County.